I wasn’t able to get to writing a regular post this week, but this Weekend-Bookend post is something that I can get to. 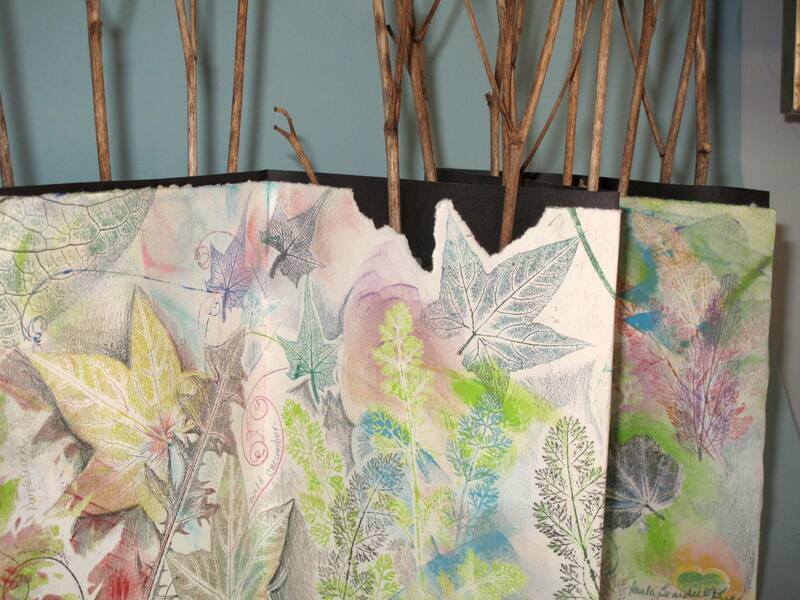 Cover of August Harvest, book of backyard nature prints. The sticks are dried day lily stems. Sometimes I make a book for no other reason than it’s something I like to do. I like folding papers and sewing them together. 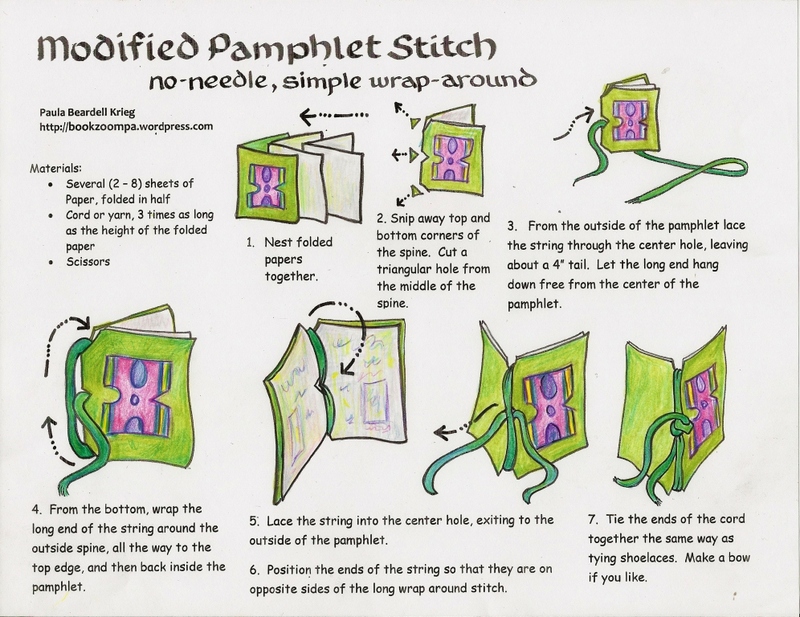 I like working out the details: the color and weight thread to use, which folds to make, what papers to use, what sewing pattern to follow. 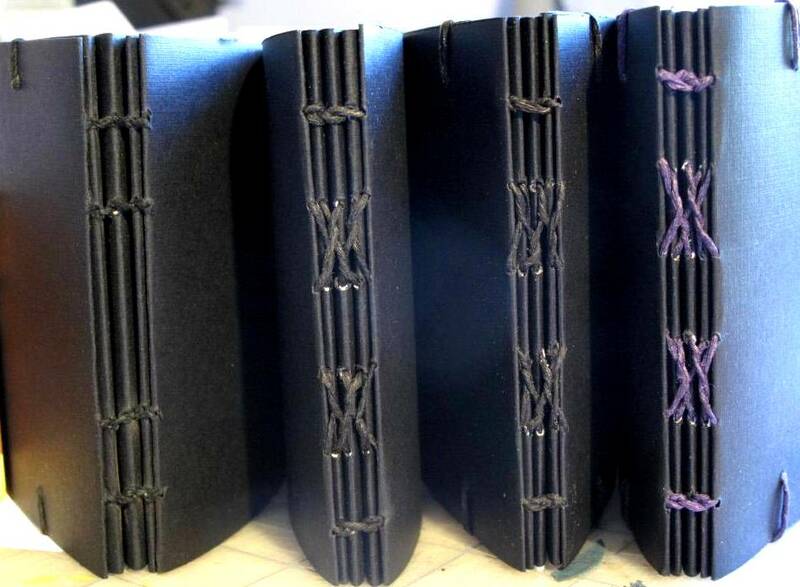 I have quite a number of heavy weight black paper strips left over from last week’s school residency. 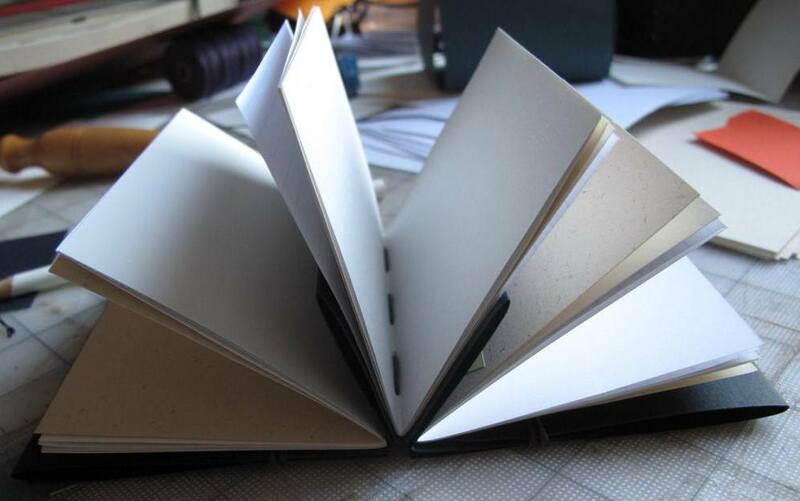 This paper has a linen-like finish, it feels good in my hand, and it is rich and beautiful. 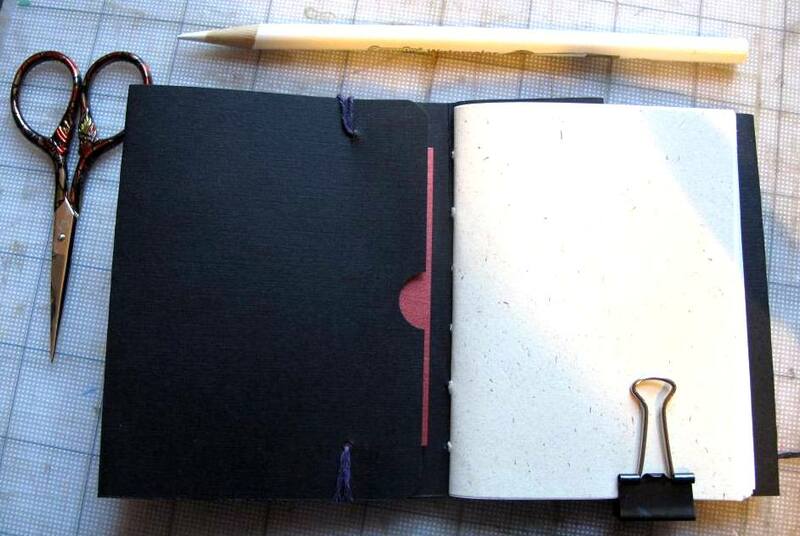 I wondered what kind of small book I could make. 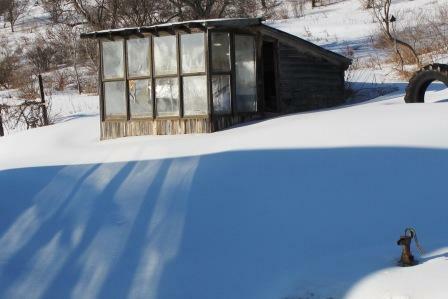 The strips are 4 inches tall and 26 inches wide (about 11 cm x 68 cm). I folded a number of accordion pleats from the center out, left enough unfolded to so I could fold in a cover. 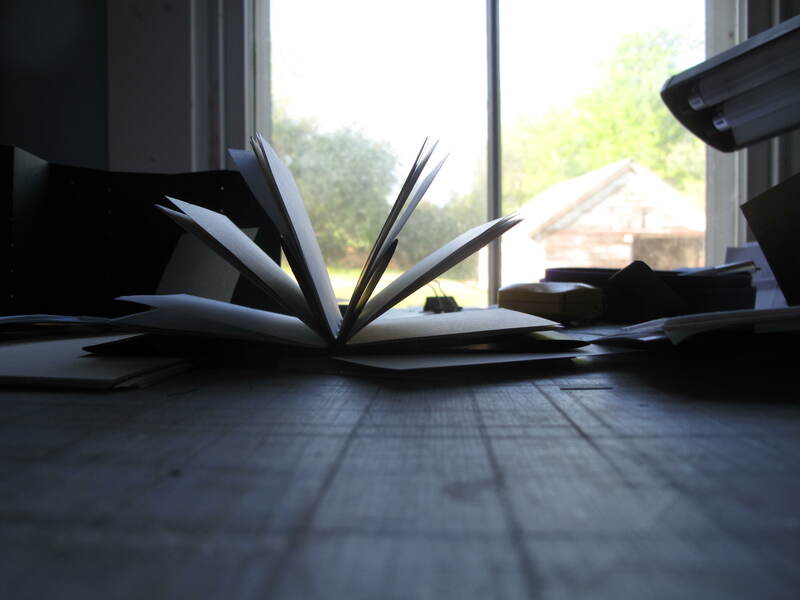 I have stacks of interesting papers which I like to mix up when I’m making a book. I used white, beige flecked, gray, graphing, and soft white papers, cut to 4″ x 6″. At each stage of construction this book looked good to me. This is a reliable sign that the finished product will have some charm. 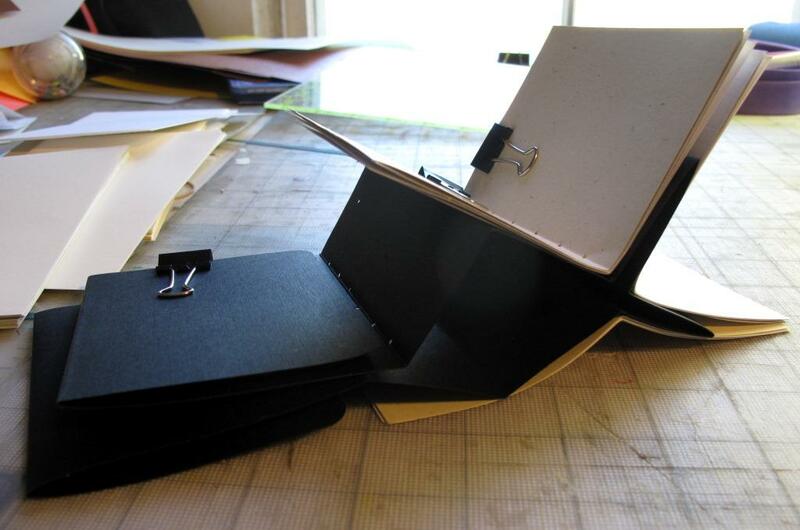 After this book was sewn together it wanted to pop open all the time. Here’s something I’ve never seen anyone write about: often books don’t seem to want to stay shut when they’ve first been made. A book like this should be placed on bookshelf, fully closed and between other books, and a week later that same book that was popping open now remains shut. It’s like the papers have to get used to the idea of having been transformed into a book. 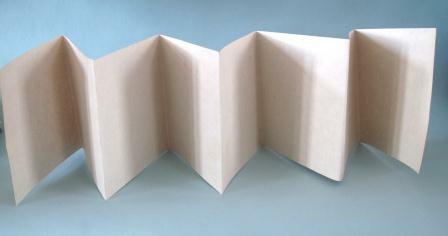 The cover of this book is two thickness of paper, created by folding over the ends. I wanted the fold to stay shut, but didn’t feel like gluing it down, so I sewed it down, and the folded over paper became a pocket. .
There’s a pocket on the other end of book, too. I sewed one of the accordion flaps on to the cover to make a narrowe pocket. 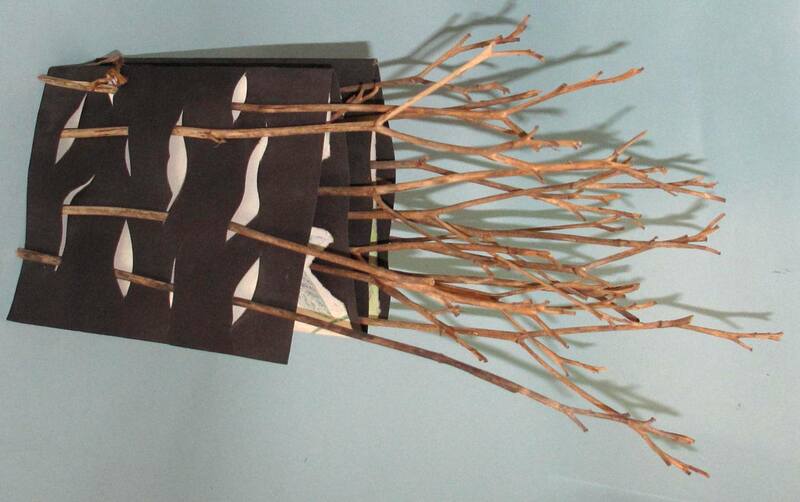 Over the last few days I’ve made 5 or 6 of these books, trying to work out what looks best to me. The book on the left is where I started. First thing to change was the sewing. It just didn’t look good to me. I had seen as description of this linked binding and wanted to try it out, so that’s what I did. I like this change in sewing (though it used far more thread: 45″ of 4 ply waxed linen) , but it seemed to me that the signatures were too thick, so the next book the signatures were made from 5 papers rather than eight (5 papers = 10 leaves = 20 pages, and since there are three signatures, that makes this book 60 pages long). All good. But then I wanted to see if liked a more colorful spine, so I tried out purple. I’m not sure whether I like the black or the purple better, so now I’m stuck, and will stop here for now. Which is good thing because I need to get ready for teaching tomorrow. I’ve finished up this fractions/number-line project that I’ve been thinking about. 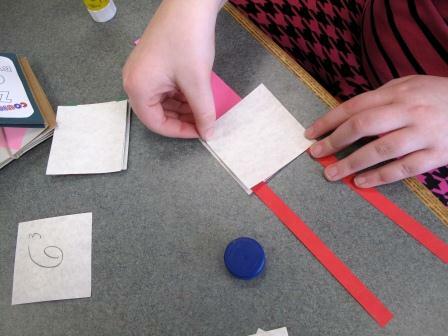 I worked with a class of fourth graders who were just starting their fractions unit. My plan from the start was to try to present a project that was dynamic enough to capture their interest. 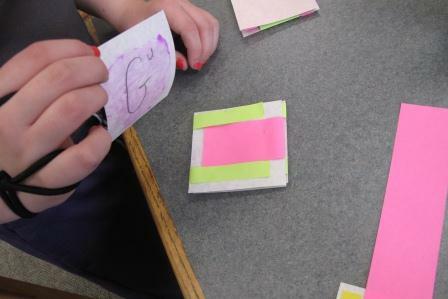 The center piece of the project was to make a “magic wallet,” which is a shortened variation of a Jacob’s Ladder. I’ve been using the name “Li’l Jacob” instead of “magic wallet” because, originally, I couldn’t remember the magic-wallet name, and Li’l Jacob seems properly descriptive. This structure opens in two different ways, to reveal two different visuals. It’s tricky, and seems magical. I am happy to report that these students were over-the-moon happy to learn how make this. 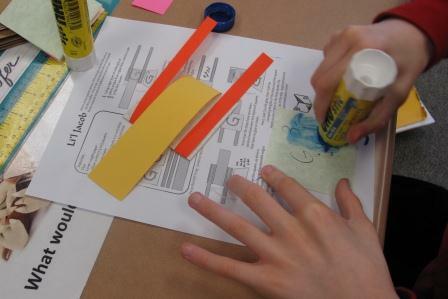 After showing the students what the finished book project would look like we dove right into making the L’il Jacobs. 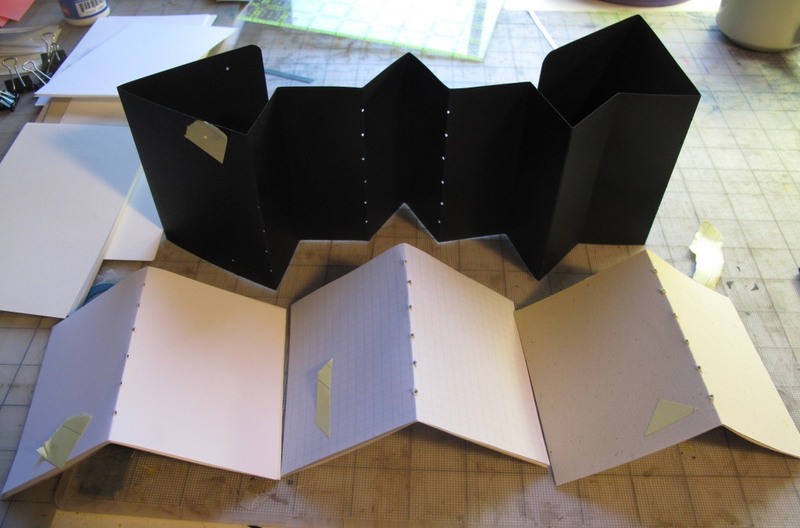 Making this requires a completely non-intuitive sequence of precise folding and gluing. 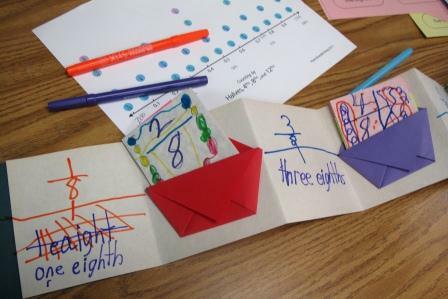 The students have to keep track of where they are in the sequence in order to get the folding to work. I was nervous about how I could get them to see for themselves what was going on. A great surprise was that they offered me the best description I could hope for: they saw the arrangement of papers and immediately recognized it a human figure, legs and torso. Perfect! Now I was completely convinced that I would continue calling this a Little Jacob. The students decided that this next step was best described by saying that they were covering Jacob’s innards. 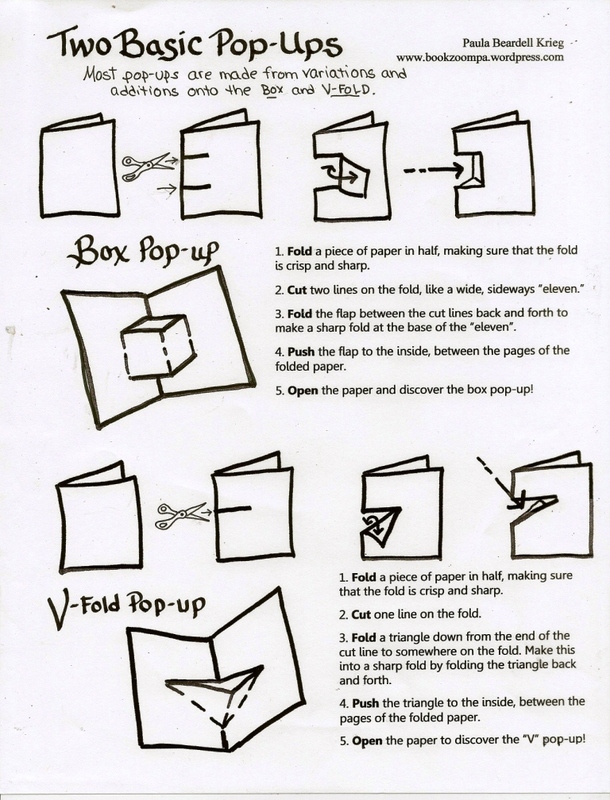 The last fold reduces the paper into a square. Each student made four Li’l Jacobs. 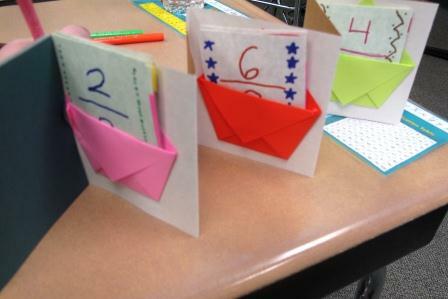 Each of these had a set of equivalent fractions written on and in it. 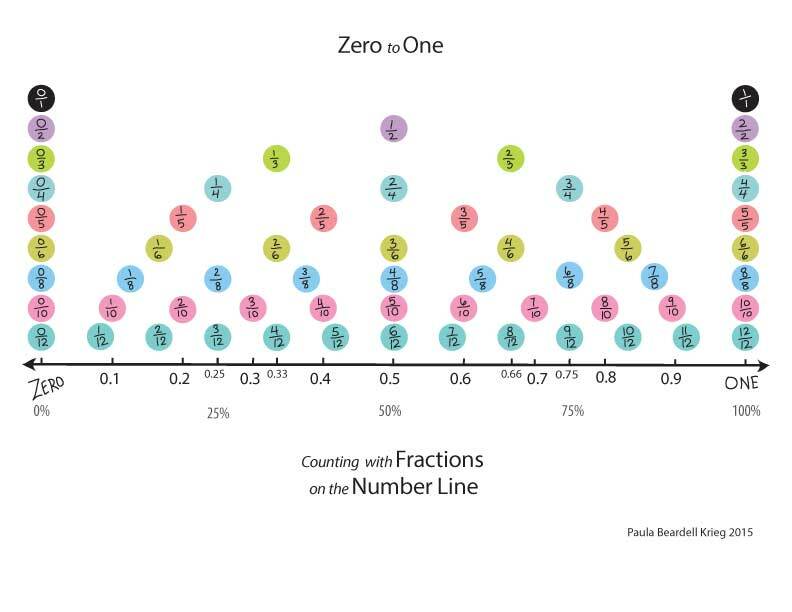 But we didn’t even start with the fraction labeling until the third class. 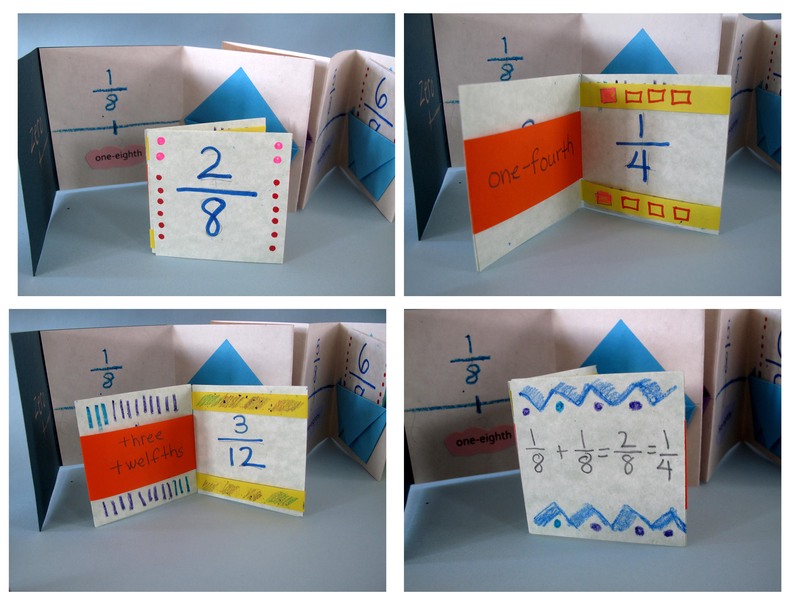 Our second class was about making the book that was going to hold our fraction cards. 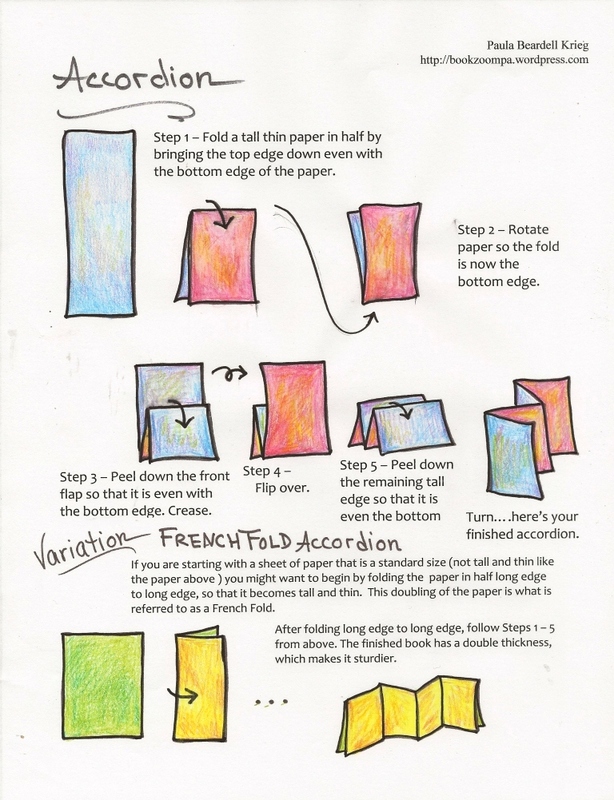 We folded a 33″ x 4.5″ paper int halves, then quarters, then eighths, to make an eight page accordion. 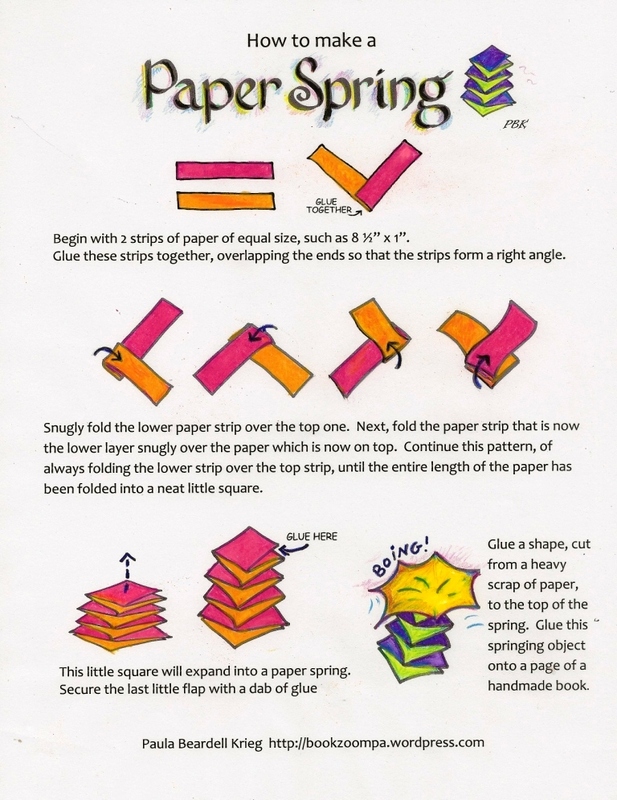 I know that most people don’t have access to paper this size, but with a some thought this can be created by combining smaller sheets of paper. 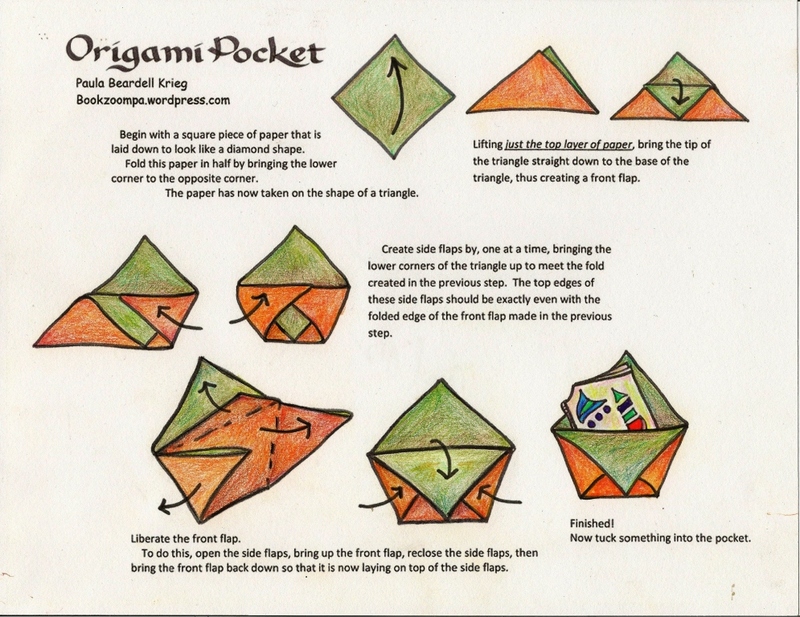 Origami Pockets on every other page. Student chose their own colors. 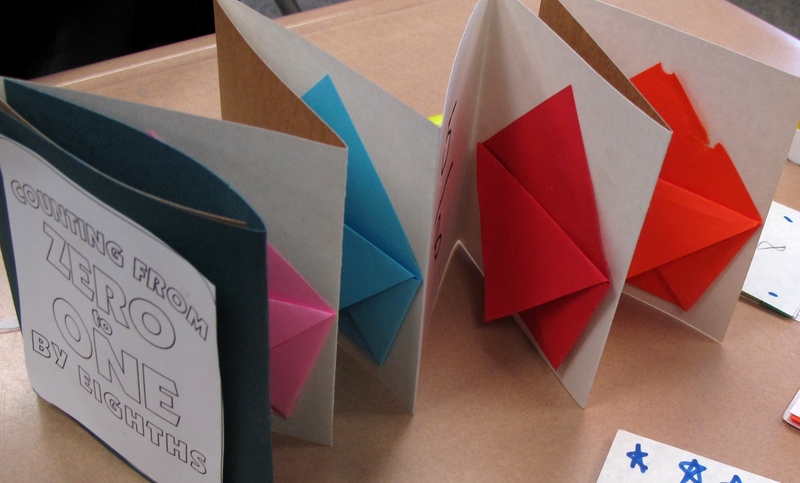 Students then made origami pockets out of 5.5″ squares of paper. Starting with the second page, these were glued on to every other page of the book. Next came the cover. 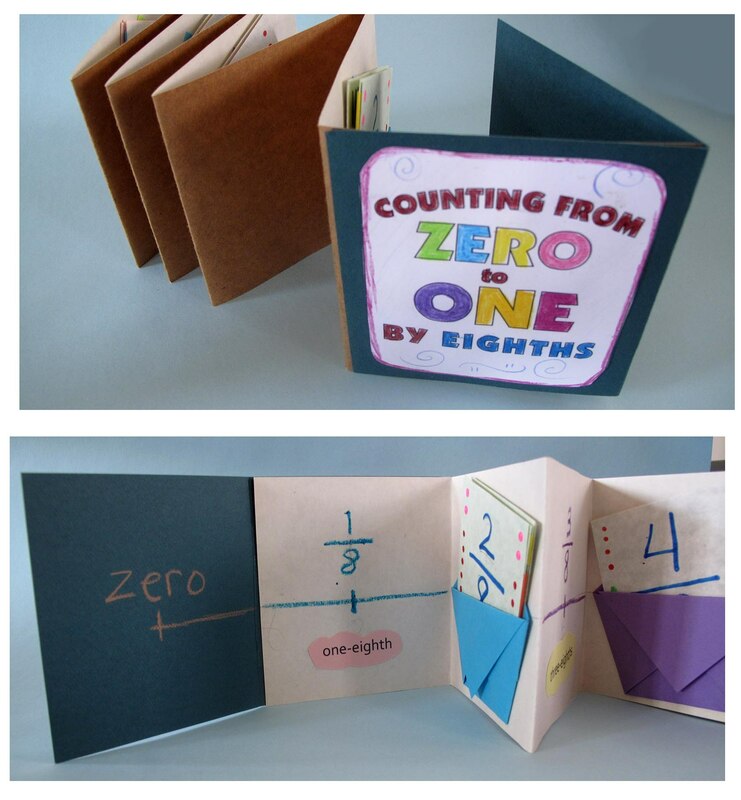 The book needed an extension so that the number line could start at zero. To accomplish this we attached an extra long cover piece then folded it over. I know I’ve explained that badly, so I hope the pictures above are adequate explanation. Finally we were ready to label the Little Jacobs with equivalent fractions. I talked to students about how fractions could be a way of counting to one: one-fourth, two-fourths, three-fourths, four-fourths(one). I showed them my animated zero-to-one gif and some static images of equivalent fractions but they seems to like the image above the best. We circled the columns of fractions equivalent to eighths. The really seemed to get the concept, and kept referring to it as they did their labeling. The picture above is my sample that shows the labeling, with different ways to write equivalent fractions, as well as a simple addition problem, using the fractions. 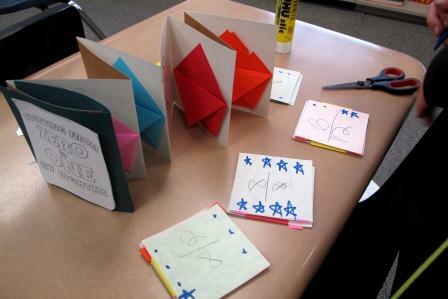 Here are some images of the students finished books. 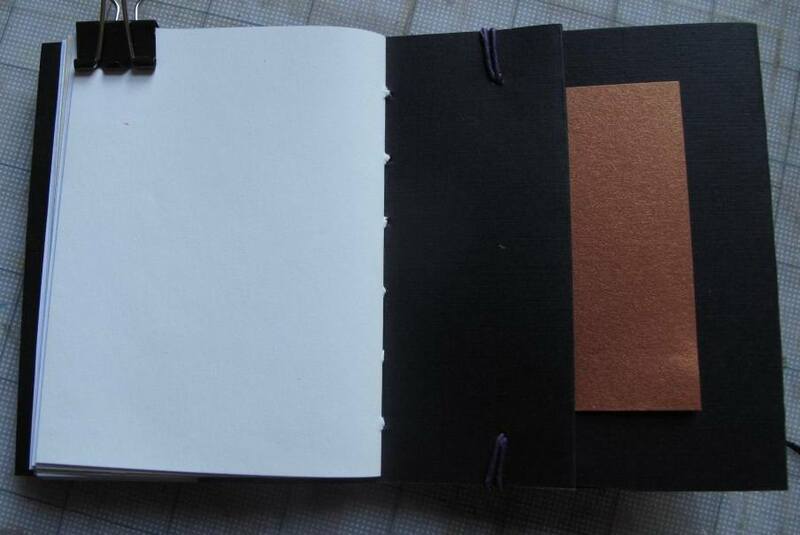 The even pages hold the fractions in the pockets. 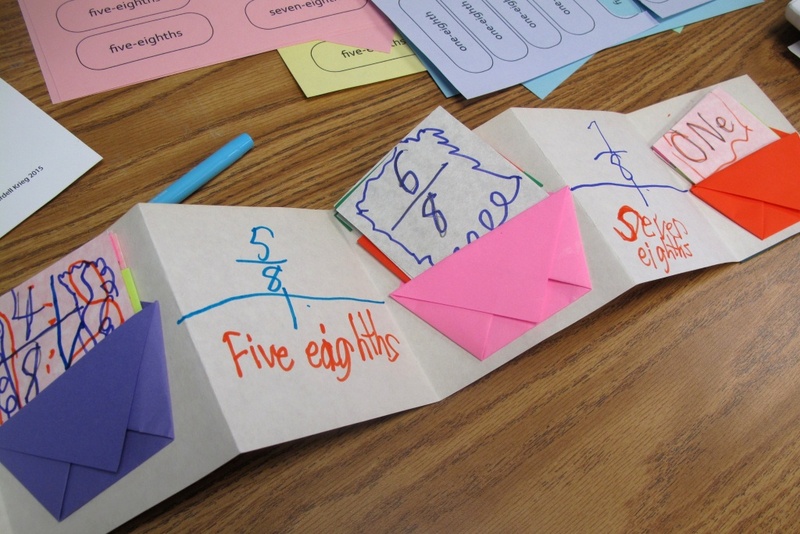 On the odd pages, students wrote out the fractions. These fractions had no equivalents on our chart. 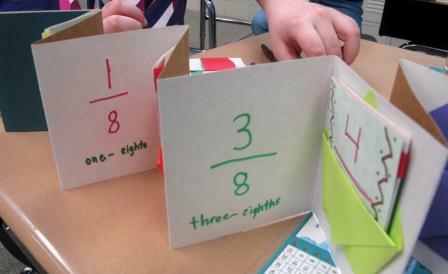 Forth graders don’t do fractions beyond the twelfths, so 1/8, 3/8. 5/8, and 7/8 stand alone. 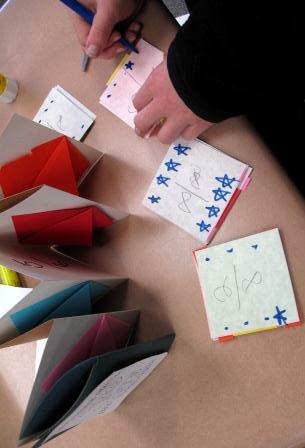 Some students were more inclined than other to do decorations on the books. One thing that was wonderful about this class was that the students were incredibly helpful to each other. I could have never gotten this far with this project if I had to problem shoot with each child individually. The students who grasped each step were enthusiastic about working with a classmate that didn’t quite get a step. 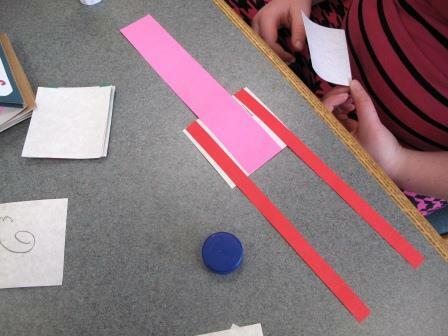 We lined up the fractions so the eighths showed, thus showing the 1, 2, 3, 4, 5, 6, 7 and 8 in the numerator. By the end of my third meeting with these students, just about everyone had finished with their books. This is one class that I can say is excited about equivalent fractions.